No one remembers when the house was abanoned by the owners, but over the years no one has really been brave enough to investigate. As the house and grounds became delapidated, the strange sounds, lights and mist became more common. Only a very brave fool would venture there now. 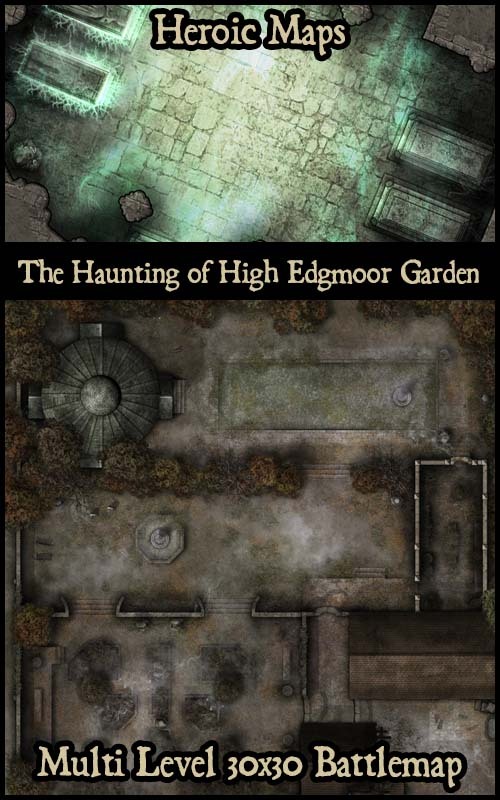 Contents: A multiple level map consisting of a 5 storey haunted stately home mansion, spread across 4 30×30 (and one 20×30)battlemaps, each depicting a different floor of the house.